Welcome to the My Creative Time "12 Days of Christmas"! You are in for a lot of fun for these twelve days - daily projects by Emma and the design team, along with some fabulous prizes celebrating Emma's one year anniversary! If you arrived here from Jeanne, then you are headed in the right direction. If not, please start at Emma's blog here. 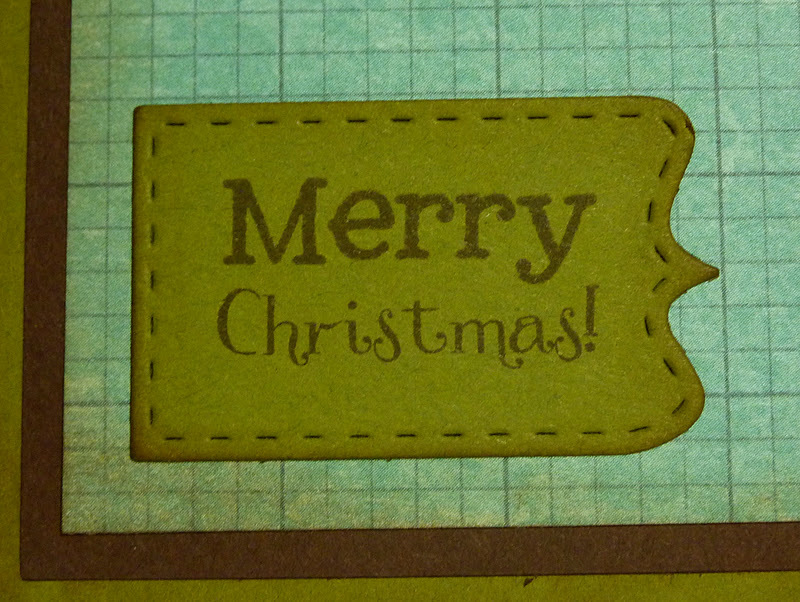 Today I have a pretty simple card for you that is flat and easy to mail. It's an A7 size card, so the base is cut at 10" x 7 1/8", scored at 5". The brown layer is 4 3/4" x 6 7/8", and the patterned layer is cut at 4 1/2" x 6 5/8". 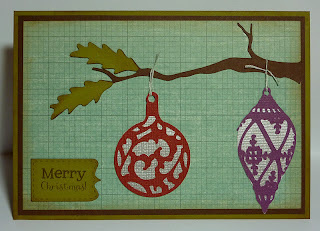 The beautiful branch is from the Cricut Winter Woodland cartridge, cut at 2 1/2". 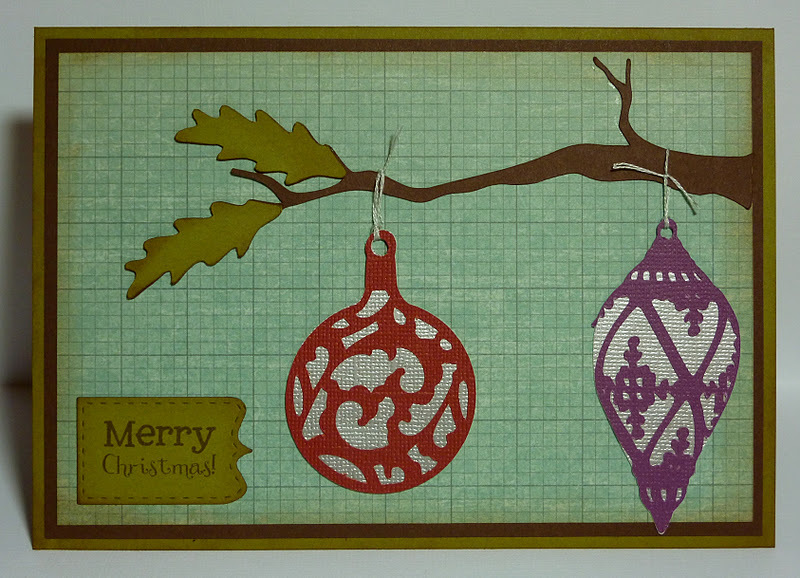 The reason I made this card on a larger scale is because of the intricacy of the gorgeous ornaments. They are from the Christmas Solutions cartridge, which was one of the free downloads to they Gypsy last year. I cut this red one at 2 1/2", and the purple one is cut at 3". To attach them to the branch, I used some embroidery floss. 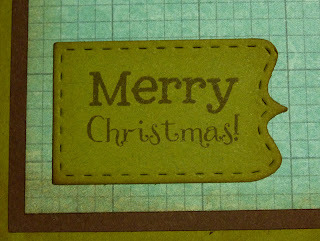 For my sentiment, I die cut a banner from Emma's Build a Banner Kit and stamped it with a sentiment from her All Around Christmas stamp set. My Creative Time "Build a Banner Kit"
WOW!!! THIS IS SUCH A BEAUTIFUL CARD!!! OMG! I MUST HAVE THAT CART TOO!!! I BETTER CHECK IT OUT!!! YOU CARD IS JUST WAY TOO PERFECT MY FRIEND!!! AWESOME JOB! Love these beautiful ornaments! What a lovely card! awesome job! i love the shimmer behind the intricacy of the ornament. The best cards are sometimes the most simple of designs....love your card! I just love your card! TFS! this card is so pretty! I love the colors you used to! Love those ornaments. Beautiful card. This is GORGEOUS!!! The colors are stunning! I think this is my fav card so far. I don't have a gypsy 'yet', I'm so new to all this hopping and blogging stuff, but I can see all that you can do with one. Very nice card! Love the ornaments! I have that download on my Gypsy, too. I better start cutting those ornaments -- they're beautiful. TFS! beautiful card! I love those ornaments!! I love this card, I like how you used the banner set. very simple and cute card. Love the card very pretty! So very pretty...love those ornaments! Thanks for sharing with us! love the ornaments, very pretty card!!! Great card! Love those intricate ornaments and the metallic paper behind them. Thanks! I am about to cut with this cart! Love it! Oh, I love this card!! I have to make one for myself! I love that branch and would have never thought to hang ornaments from it! Such an awesome idea!! Gorgeous card, love the ornaments. Beautiful card. I'm once again reminded of how far behind I am and how many more I need to make. Gotta get busy. Thanks for the inspiration. Great design. This is such a beautiful card. I love the colors, and that branch is perfect!! Great card love the size. Very pretty card, love the ornaments. Wow, did not realize I had this on my Gypsy, will check it out tonight. Great job finding and using these carts. 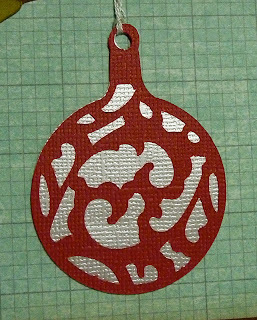 The ornaments are so beautiful with the silver paper. Love this card! It is beautiful!! Absolutely lovely! Thanks for sharing. Stunning card. So pretty, love the ornaments! Very pretty cards and looks so simple. Love the card! So pretty. Such a beautiful card! TFS! Katie, very elegant card. Loved. Thanks for share. So cute! Love the country feel. Thanks for sharing. What an awesome card! I love the ornaments hanging from the branch! I just love this card. Beautiful. Cute, love the ornaments on the branch. Katie, Katie, Katie I could not wait to see your creation. I so LOVE your work. I really can not keep up with all these blog lol. All you ladies are AMAZING. So happy to be able to see it. I love how you used the banner sideways for a sentiment! Cute. 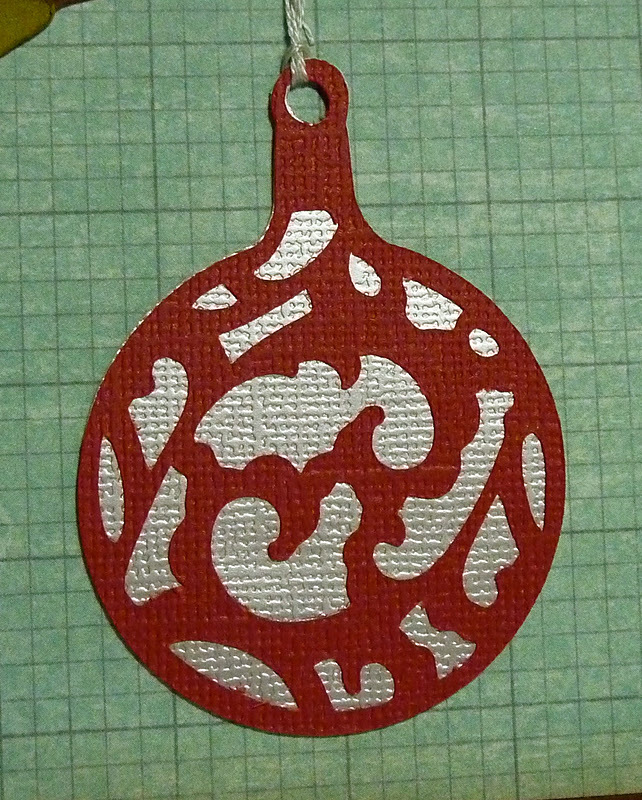 You're right, I just made a card with one of these ornaments the other day and they are super intricate...and a wee bit hard to cute in a small size without messing up. Your ornament care is so adorable!! Just love it!! Beautiful card! I'm going to try replicating it! Your card is beautiful. Love those ornaments. Very nice card. Simple is good. Lovely card. The papers, color match perfect. Loved. Thanks for this idea. Love your card! Those ornaments are really pretty! this card is sooo beautiful!! wow!! beautiful!! I have to get that banner kit!!! Those ornaments are so pretty and elegant. Beautiful card, TFS! I love this card, great job!!!!!!! Very pretty card! Love those ornaments. Really pretty. I love the ornaments too cute. This card is so pretty!! I love it! Good job. Your card is so gorgeous! I love those ornaments! like the ornaments. very pretty! Very Beautiful Card! Great Job! such a nice card.. love the ornaments! Love those ornaments... so pretty!! This maybe simple but it is elegant! You make the prettiest cards! What a cute Christmas Card! Thanks for sharing. better check out that cartridge! I just love this card! Those ornaments are beautiful. I have to see if I have this cart and definitely try it out! Great job as always Katie! Lovely ornaments on your card. the card is the most simple of designs. I did not realizes these ornament are on the Christmas solution cart. Will have to remember to look there. Love this card. Clean and simple! BEAUTIFUL...love how the ornaments are hanging from the branch!! !